Quality, luxury, style. These are the words that come to mind when making your dream bath a reality. The craftsmanship, design, and atmosphere of your perfect bath should feel like a luxury spa getaway, your own personal paradise to be enjoyed in your own home. That’s why Dream Baths is proud to have Perrotta’s Marble Shop as a luxury bath, sink, and countertop supplier. Locally owned and operated for over 80 years, Perrotta’s Marble Shop offers products and workmanship of the highest quality to contractors and homeowners across Ohio. 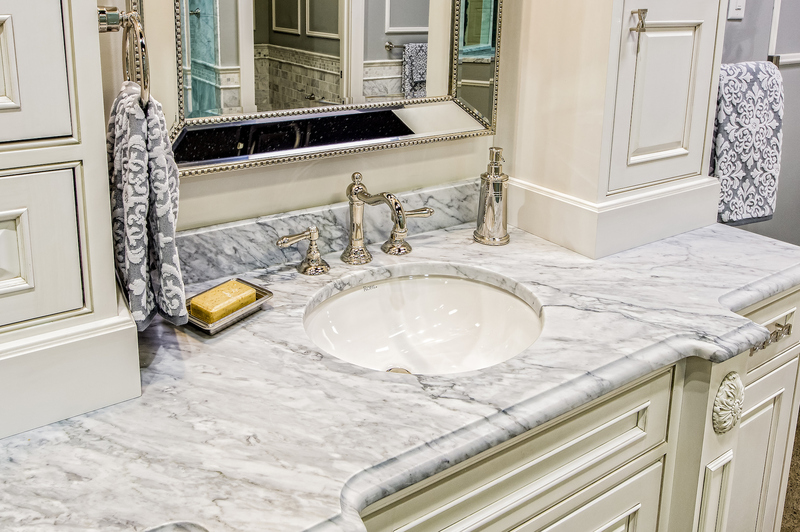 Perrotta’s Marble Shop’s fast and dependable service helps keep our remodeling projects running on time as we employ their beautiful range of materials in the installations of sinks, baths, and countertops. Ready to make your dream bath a reality?